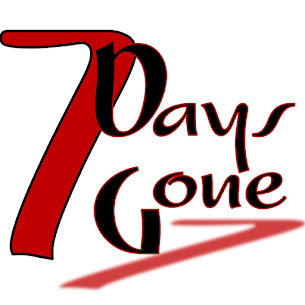 Seven Days Gone: Fall season kicks off September 7!!! Fall season kicks off September 7!!! Hi all, and hope you've had a fantastic summer! Seven Days will be back at it very very soon - next week, in fact! We are kicking off our fall performance schedule with a Friday night show on the 7th at our very favorite haunt in Salt Point, Copperfields. Showtime is nice and early, 7:30pm - so come on down for some great grub, grab a seat by the bar, and rock out with us for as long as you like! We have a steady stream of fall dates booked - just check the "Gigs" section on the right side of the page (you might need to scroll down a little.) We hope to see you all a bunch of times, starting out with next Friday at Copperfields!! !